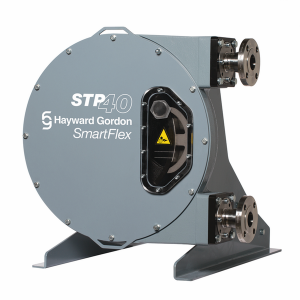 If you are looking for a high-quality peristaltic pump, you are sure to find the pump model that meets your exact processing requirements at Arroyo Process Equipment – an industry leader for the past five decades. We only distribute and represent pumps and pump-equipment from the most respected manufacturers in the industry. Our Positive Displacement Pump Line features peristaltic pumps along with gear pumps, AODD pumps, turbine pumps, piston pumps and more. Our Centrifugal Pump Line includes an unparalleled selection of dewatering pumps, end suction pumps, sump pumps, boiler feed pumps, self-priming pumps, milk pump models and more. Pulsafeeder Chem-Tech XP models are specifically made for water conditioning and treatment applications. Hayward Gordon MEC-O-MATIC pumps feature flows of up to 88 GPM, the ability to run dry, a lubricant free design, and more. Watson Marlow has been producing superior peristaltic pump models and tubing 60 for over 60 years. Versatile and accurate Qdos Series pumps provide flow rates of up to 100 PSI and up to 31.7 USGPH. Recent studies have shown peristaltic wet well pump equipment performs as well or even better than a traditional submersible pump on many wastewater treatment operations. Arroyo Process Equipment application engineers are always available to help processors in Florida, Georgia, Haiti, Jamaica, Cuba and across the Caribbean find the peristaltic pump, milk pump or other processing pump that best matches their particular specifications and requirements. Contact us today for peristaltic pump data sheets or quote requests on milk pump models.